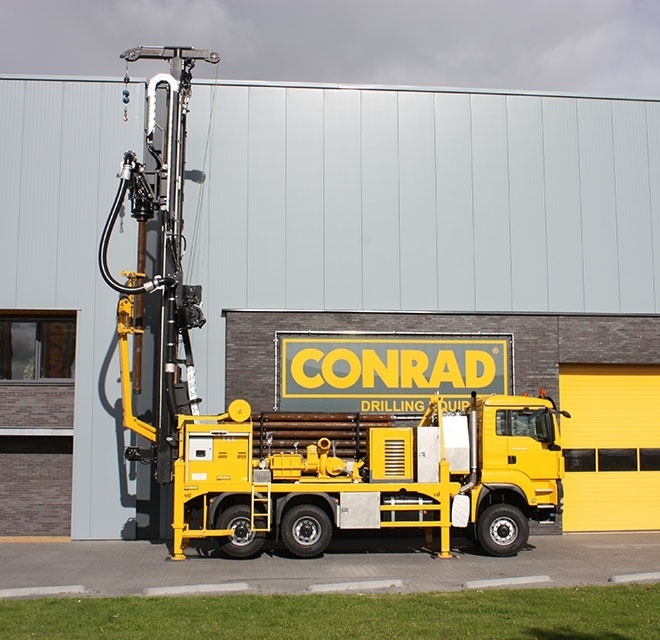 19 November 2013 | A Combi 500 HD has been delivered to Verhoeven in Drunen - The Netherlands. 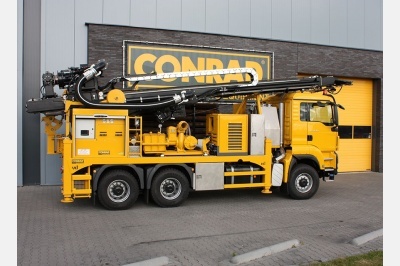 This rig has been installed on a MAN 6x6 truck and the hydraulic system is driven by the PTO of the truck. 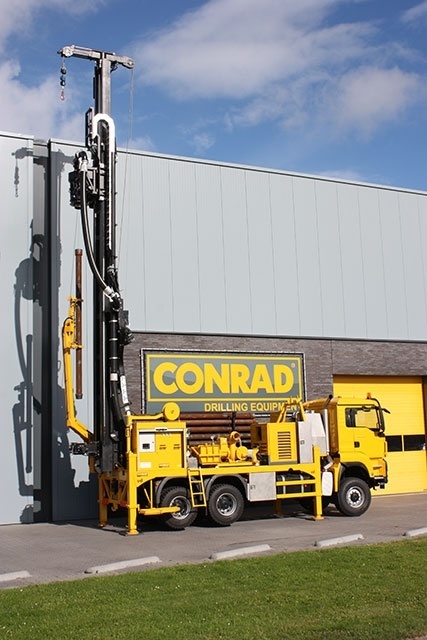 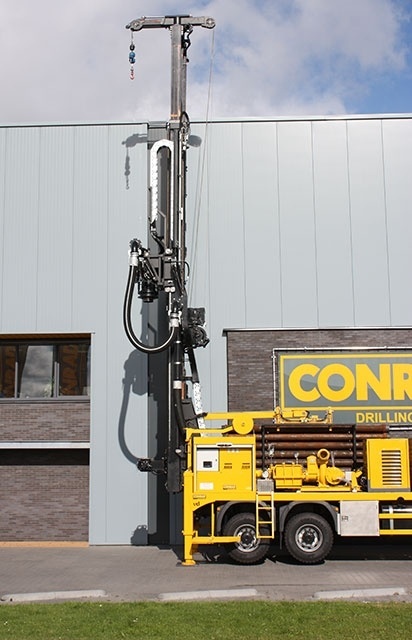 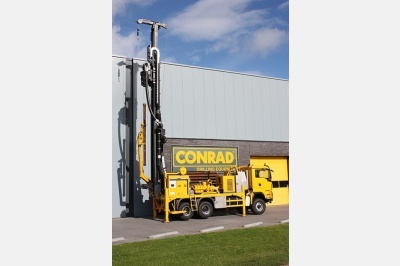 The rig is suitable for making reverse circulation and airlift drillings. 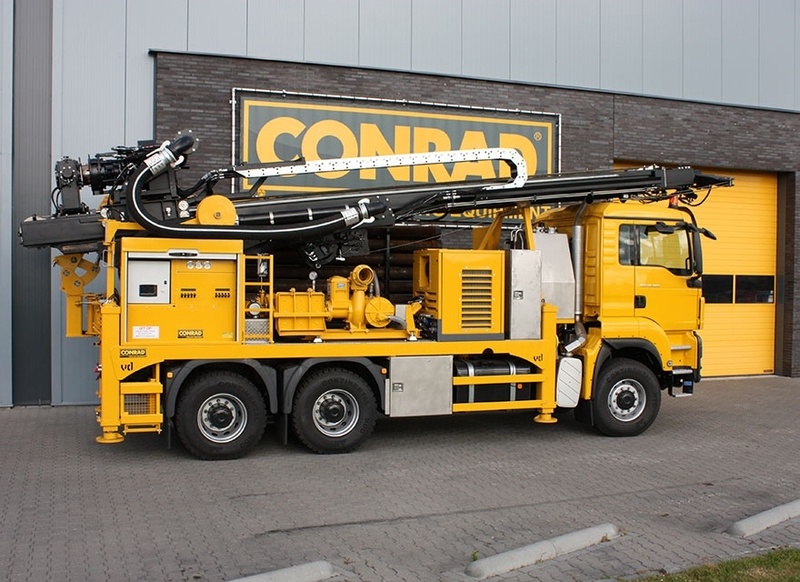 The maximum pull up force is 18.000 daN and a 6 inch drillhead is installed. 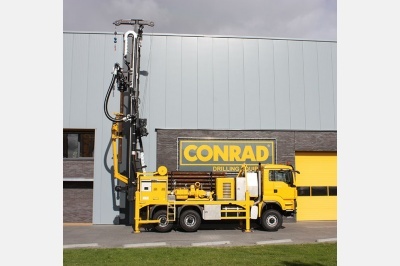 Furthermore a hydraulic driven generator of 20 kVA is installed. 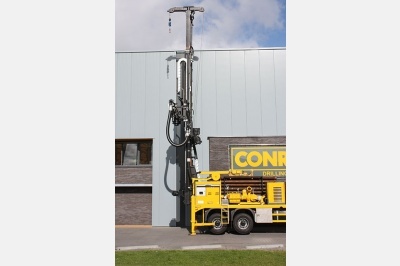 For handling of filters with a length of 10 meters a hydraulic mast extension is available.